We’re thrilled to share with you some good news. 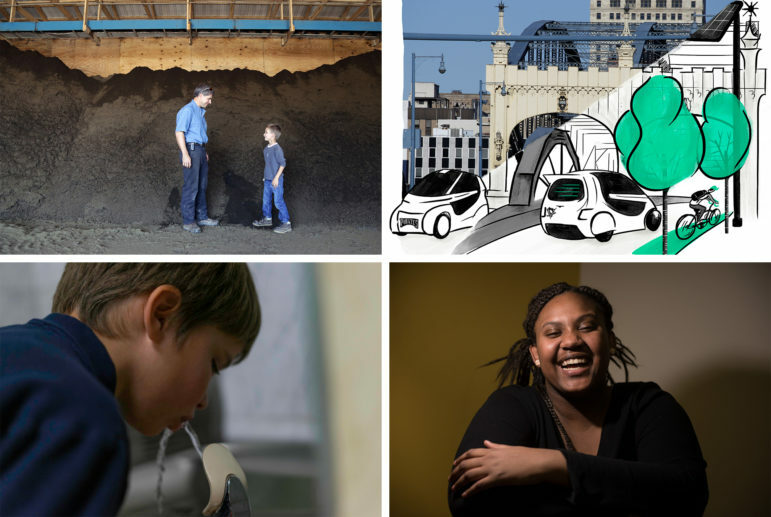 So far this year, PublicSource reporters have taken home 16 awards from local, state and regional journalism contests. 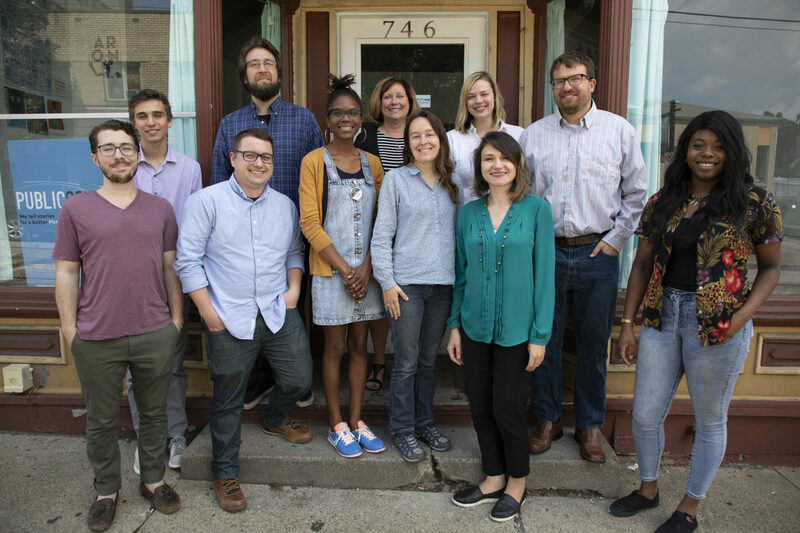 In addition, the national Education Writers Association recognized PublicSource reporters Mary Niederberger and Jeffrey Benzing as finalists for their stories on disproportionate treatment and challenges for black girls in the Pittsburgh region as part of our “I am a black girl and…” series. A Regional Edward R. Murrow Award for our continuing coverage of Pittsburgh’s crisis with lead in the water. The region in which we claimed the award spans Pennsylvania, New York and New Jersey. Our fellow recipients included ProPublica, The Intercept and The Marshall Project. Ten statewide awards for journalistic excellence in the Society for Professional Journalists’ Keystone Contest. PublicSource digital projects swept the online category for web use by a non-daily outlet, with honors going to Three Rivers Rising, Small Town, Pennsylvania, and The Charter Effect. Winning stories included pieces on a reformed drug addict and dealer, the ease of obtaining a gun in the Pittsburgh area and a Chatham University policy that treated mental health issues as a disciplinary matter. Shortly after our reporting, Chatham removed the decades-old policy and replaced it with new language offering support to students with mental health concerns. Two Robert L. Vann Awards of Excellence from the Pittsburgh Black Media Federation for the ‘I am a black girl and…’ series and a story on how hundreds of students are arrested in Pittsburgh Public Schools. Two Golden Quill awards from the Press Club of Western Pennsylvania for the school arrests story and an investigation into ties between a police commander and the company providing the Pittsburgh police force with body cameras. The Islamic Center of Pittsburgh honored PublicSource and specifically our executive director, Mila Sanina, with a Humanity Day Award. The awards go to local organizations and leaders who are committed and passionate about providing vital resources to Pittsburghers. The past year has been challenging for journalists and media at large, with the deadly June attack on the Capital Gazette in Maryland and growing distrust in what we do from many in the American public. The Daily Beast recently published a story on a poll indicating that more than 40 percent of Republicans said the President should have the authority to shut down media outlets if they misbehave. The free press afforded to us all by the First Amendment is under attack, and not only in Washington, D.C. It’s commonplace for PublicSource reporters to be accused of being fake news, to have doors slammed in their faces or to even be threatened. Yet each day they set out to deliver you the truth and share with you the most authentic stories and voices found in the Pittsburgh region. It is said often by those of us in the journalism profession that we don’t do it for the awards. But these awards reinforce for us — and hopefully for you — that the work we do has value and that we're doing it the right way. Your readership and support make all the difference at PublicSource. Please consider donating to support our fearless, public-service journalism. Halle Stockton is the managing editor of PublicSource. You can reach her at halle@publicsource.org or 412-515-0065. Please join me in supporting PublicSource right now, when every dollar you and I give will be matched by a dollar from News Match 2017. Go behind the scenes with PublicSource Executive Director Mila Sanina and Managing Editor Halle Stockton in a Facebook Live chat from the Carnegie Library of Homestead.